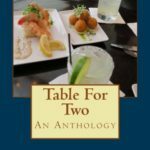 Short story “Naked Lunch” published in the Table for Two anthology, March 2018. Available now at amazon.com. If you like it, please leave a glowing review, especially for my contribution. Published in The SUN magazine, Issue 511, in Readers Write. Topic is ‘Threats’. To learn more about this radically intimate and socially conscious publication go to https://www.thesunmagazine.org.